The events of the summer we’re living through have been so depressing and dangerous. It is the kind of summer that brings tears to so many human eyes; eyes such as Joseph shed in Egypt as we read about in our first lesson. 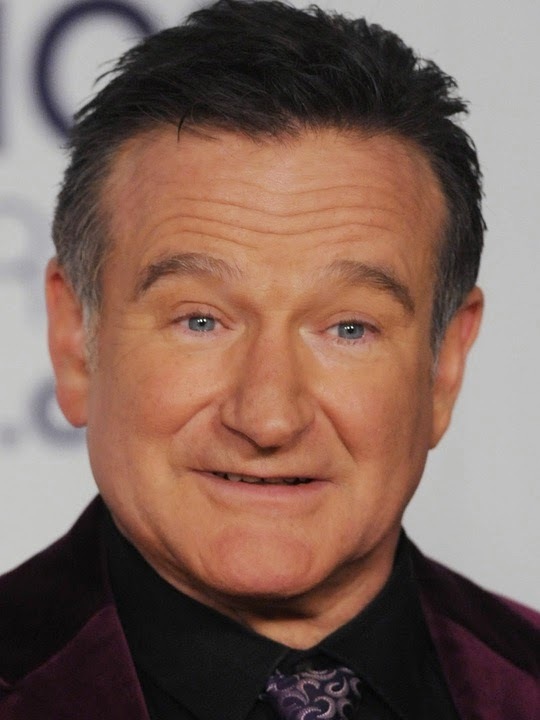 The conflict in the Ukraine, the sudden rise of the super extreme ISIS militant faction in Iraq, warfare yet again between Palestinians and Israelis, another unarmed teen is killed and subsequent civil unrest in Ferguson, Missouri, and now this week we hear of the death of a gifted comic genius, and Episcopalian Robin Williams. That one hit me hard. Well, to tell you the truth this summer hits me hard. The relentless bad news, day after day, after day. Even listening to it without the hype that the networks give it, has helped little. I prefer listening to my news on NPR and even there, the facts and details of it are all more than we can seem to bear. Monday night as I was out for my evening walk, I heard the news of Robin Williams’ death; an apparent suicide. Oh my God, it took my breath away. Here is one with whom I share so much; a wonderful sense of humor, a common faith and the same psychiatric diagnosis as bi-polar. 5. The Church year is color-coded. 4. Free wine every Sunday. But all the comedy ended, all the laughter was silenced Monday. Not only do we share a common faith, we also share that demon known as bi-polar affective disorder. I had my break in 1990 and no recurrence since but I do take my meds faithfully, I see my psychiatrist, and my spiritual director just so that I can keep myself on an even keel. I pray and read my scripture every day and I keep a journal where I share with God my deepest thoughts. None of us can know what it is that drives someone to this last great desperate act. But we do know from such books as the “Noonday Demon” that depression can be so dreadful and dark that many are driven to the depths of despair. From that point there is little comfort for those who suffer so. Interestingly enough I think Robin Williams dealt with the question of suicide in one of his most self revealing movies; “What Dreams May Come” filmed and produced as long ago as 1998. It was not a critical success. I think it was probably too theologically profound to receive critical acclaim. In the movie, Robin plays a gifted doctor whose sons both die in dreadful accidents and then whose wife takes her own life. 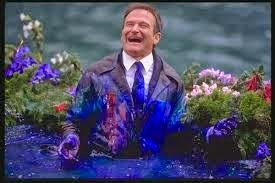 Eventually Robin’s character ends up in heaven, but he tells his angel that he cannot live in heaven without the one he loves. He decides he’d rather go to hell and be with her than to live in heaven without her. He then goes to go to hell and back for the love of his wife. And it is only that love that can overcome her deep and self absorbed despair. I know what suicide leaves in its wake. As one who has gone to the graveyard with families of those who have taken their own lives, the question is often there, spoken or unspoken; is there really a heaven for my beloved? How can God embrace someone who forgets the mercy and love of God? In today’s Gospel it is said that the woman has a demon. We live in an age full of demons. Now we call them personality disorders, schizophrenia, psychosis and so on, but the one thing we cannot fill with psychiatry is the void left when we take God out of the equation of modern life. When Jesus walked the planet, those with demons recognized him instantly. I ask you now to do the same. What of those today with empty souls? Empty bodies? With what shall we fill them if they cannot recognize Jesus or God or the Holy Spirit that dwells within? They cannot recognize Jesus unless we have the courage to tell the story of how God has made all the difference in our lives. And when our lives are filled with demons, I only wish we could call out loudly and insistently like the woman in today’s Gospel. Even at the initial resistance of Jesus, the woman pushes back with daring tenacity. "Yes, Lord, yet even the dogs eat the crumbs that fall from their masters' table.” At such such a statement as this Jesus says; “Great is your faith”. How I wish I could have reached out to Robin Williams with my illnesses and my faith. I think we might have found a place to meet and laugh and cry and find God again beating in the human heart. Alas, that will have to wait until another day when “ What Dreams May Come” will be the dreams we dream. In the meantime, I will have to be patient. Sure, I know it is a depressing summer. I know as well as anyone what demons lurk within the human heart as well as within our history. How long will it take for humankind to realize that the only answer to all our heartaches is the joy of knowing God our Creator, Jesus our Savior, and The Holy Spirit, the Holy Wisdom from on High. Yesterday I came across these magnificent words form a Celtic Psalter. Given the beauty of the land is it any wonder the Celtic land is a land of such poetry? Let me share these words with you now. At the heart of life and in its heights glory shines. that I may know its heights. that I may know you as beyond. -from Sounds of the Eternal: A Celtic Psalter. Keep singing the songs of God dear friends, cheer each other on. The Kingdom of heaven is among you and within us. I love these holy places. That is why in my free time during the past year, I’ve been writing up my latest book; “Reversing the Decline”. It is based on a number of power point presentations I made while I was in the Diocese of Montana last year. 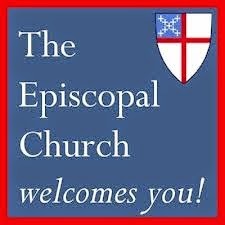 The thesis of my book is that we Episcopalians and other mainstream churches have been in decline for a long time and we have forgotten so much about congregational development and evangelism, that we are now almost preoccupied, even planning, in some cases for the closing of way too many congregations. I have specialized in “turn-around” ministry throughout my career, and in recent years have “stumbled”, if you will, upon the idea of organizing our church’s life around the notion of Membership Drives. With the community as the context of that development; with mobilizing the church around the issues of justice, and courageously organizing the church around issues of human suffering and need, a church will then become a place where its mission and ministry will become unmistakably valuable. After all, if we are the Body of Christ, we can do nothing less that what Jesus attempted to do while he was with us to become a healing presence in the midst of those he met. The community becomes the basis, then, of the congregation’s development. With a membership management committee at the helm, the congregation will direct its life around raising the visibility of the place by doing Every Door Direct Mailings, Mailings to folks newly arrived in town, perhaps purchasing billboard space, being sure to submit interesting articles to to the local press from time to time, perhaps monthly; by lifting up the life of the place; people will begin to visit the place. The natural times to do our “marketing efforts” will be in September, when the church gears up for its fall program, in the run up to Christmas, when we all have a natural “tug” toward church, and Holy Week and Easter when we proclaim the core of our faith namely that Jesus Christ is Risen today! Then our greeting skills, our willingness to help orient and incorporate people to the life within a congregation, and finally our efforts at sending folks out to do the work God has given us all to do, we complete the cycle. But the membership question is not answered until we ask each person during our annual membership drives to work and pray and give for the spread of the kingdom of God. You will remember this essential teaching of our catechism. Thus we don’t ask people for pledges alone. We ask of our selves and others to consider what it is that God’s work is; i.e. to respond to human suffering and need, and to seek God’s justice. We ask for the prayer of the church which is a coming together weekly for the Holy Eucharist, and daily to pray the prayer of the church in the Daily Office. 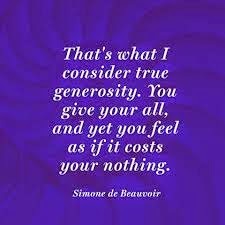 And then, and only then do we ask people to give in proportion to what God has given them; perhaps 10%, perhaps 5%, but in any case, we tap into the gift of generosity which is at the heart of our spirituality. One of the highlights of my career was an invitation by Frank Brookhart, Bishop of Montana, to fly out to the Camp and Conference Center on the shores of Flathead Lake, to be the primary presenter at the annual Clergy Conference. Frank was expecting me to do present some work on congregational development and evangelism which has always been something of a specially of mine. As we drove up to Camp and Conference Center from Helena over the continental divide, we had plenty of time to talk. We had been good friends when we served in West Virginia in a previous life for both of us. I explained to Frank that my thinking on congregational development had evolved significantly. I felt that, like NPR and PBS we needed to do regular Membership Drives. At the time I was preparing the material for this clergy conference, I was also working on a model for a Membership Drive with the folks at St Gabriel’s Church, in Douglassville, PA. We were experiencing encouraging results. My presentations in Montana were very well received; so much so that I was invited back to be the Keynoter at their annual convention and then to tour the diocese by Deanery and continue my presentations. It was an exciting time for me. At the conclusion of the week Frank and I had to drive back to Helena, from Flathead Lake; almost a five hour drive. There was a long and telling silence. I asked the question one more time; “Tell me, what do you think? Have you ever heard that expression ‘Let’s have a membership drive from anyone in the church from the House of Bishops on down?’”. Frank had to admit that he had never heard that particular turn of phrase from anyone in the Episcopal Church. Is it any wonder we are in decline and have been for so long a time. This last Thursday, I was at the Diocesan Headquarters to speak with Libby Berman, the Canon for Congregations and Jean Baptiste Ntagengwa, the Canon for Deployment. I asked the same question and received a blank reply. I shared with them my manuscript, based on the power point presentations I made in Montana and a lifetime’s worth of experience with congregations. “Reversing the Decline”. Thankfully I received a warm welcome for my work. I am so very hopeful that I can perhaps share this work in a wider setting, now that I have the time to do so as a retired simple parish priest. For as long as I can remember, we’ve been in decline. We have fought internal battles over race, gender, liturgical renewal, and then the granddaddy of them all; sexual orientation. Interestingly enough all these internal struggles have reflected what is going on in the wider culture around us. Thankfully, we’ve been able to say in no uncertain terms that God’s embrace includes all humanity; just as Jesus said in today’s Gospel when he directed us to; “Go ye therefore into all nations, to all people and baptize them, in the Name of the Father and of the Son and of the Holy Spirit. So now then I ask you this question; shall we have a membership dive? If we did, what would it look like? Can you prepare your hearts to receive an influx of new members here? Can you pray for the courage, intelligence, and imagination to invite someone to come and see. Each of you; one person over the next year or so? After all, let me make it clear that we are not seeking people who will merely come to church; we are seeking people who will have the courage to be the church. I feel like Jacob at the Jabbock sometimes. I feel like I've been wrestling with God as I write long into the hours of the day or the night. And I refuse to let God go, not without a blessing. God has now blessed me with a manuscript. 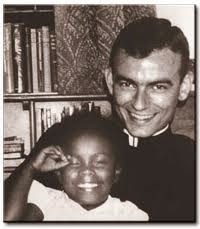 May God’s blessing now reach beyond that manuscript to the church we love. Perhaps what I have done here is to get a conversation going that needs to get going!